At the heart of this third volume of his Western saga remains the beautiful and determined Tasmin Berrybender, now married to the "Sin Killer" and mother to their young son, Monty. Although Tasmin intends Monty to become an English gentleman like his grandfather, he lives the childhood of a savage. 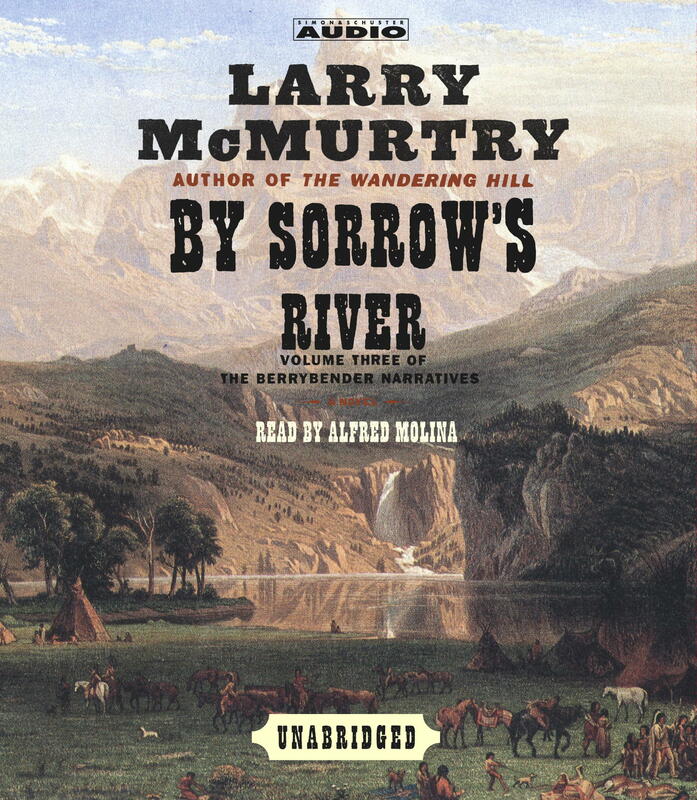 By Sorrow's River continues the Berrybender party's trail across the endless Great Plains of the West toward Santa Fe, where those lucky enough to survive the journey intend to spend the winter. Along the way, Tasmin -- whose husband, Jim Snow, has moved out to scout ahead -- falls in love with Pomp Charbonneau who dies at the hand of the ruthless commander of the Spanish troops. The Berrybenders meet up with a vast cast of characters from the history of the West: Kit Carson, the famous scout; Le Partezon, the fearsome Sioux war chief; The Ear Taker, an Indian whose specialty is creeping up on people while they are asleep and slicing an ear off with a sharp knife; two aristocratic Frenchmen who aim to cross the Great Plains by hot air balloon; a party of slavers led by the bloodthirsty Obregon; a band of raiding Pawnee; and many other astonishing characters who prove that the rolling, grassy plains are not as empty as they look.